NO CONTRACTS REQUIRED, you can pay per lesson or by the month.”Over the years I have taught many of the guitar teachers that currently teach in Tucson, California, New York City, Texas and Nashville. “The fastest and the most fun method of learning rock guitar, bass, speed picking, heavy metal, blues, jazz and funk. I cover everything from proper right/left hand technique, fretboard orientation, proper warm-up, tuning, ear training, chart reading, style versatility, groove, timing and Theory to Speed Learning Techniques, career orientation, gear advice and much more. I specialize in taking intermediate and professional rock, pop, jazz, metal and blues players to a much higher level by teaching them to understand guitar playing, and music in a deeper and more logical way. I teach techniques, fretboard orientation, effective practicing, speed learning, multiple chord technique and theory in a way that will rapidly improve your playing and confidence on stage and in the studio, as well as help you find your own style.I have been teaching for 40 years, and have had over 3000+ students during that time. Jon started playing gigs at the age of 12 and has been playing live ever since – playing nightclubs, concerts, recording studios, radio spots, documentary movie soundtracks, recording and composing original music. Jon was the teacher of world famous Rock-Star Barry Sparks. Barry has played with huge list of many famous bands including The Scorpions, Yngwie Malmsteen, DOKKEN and The B’z. Was the teacher of world famous television star Ty Miller of the “Young Riders” TV series, and other celebrities. I have been teaching for 40 years, and have had 3000+ students during that time. 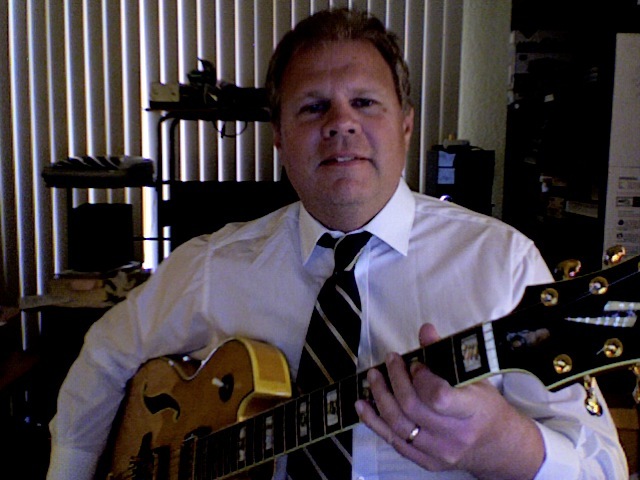 Jon was guitarist for drummer Tom McCormick of The Tubes and blues guitarist for famous Chicago Blues Legend Little Johnny Taylor, and has played numerous concerts opening for artists such as Al Green and Lenny Williams (Tower of Power) at the Celebrity Theatre in Phoenix Arizona and other venues.